Dr. Earl Ingram, shown here at the 2018 Odyssey Convocation, is retiring after 31 years of service to Troy University. Dr. Earl Ingram, Senior Vice Chancellor for Academic Affairs at Troy University, will retire effective Jan. 1, after 31 years of service to the University. He will be honored with a retirement reception on Thursday. Dr. Lance Tatum, who previously served as vice chancellor of the University’s Montgomery Campus, will take over the role on an interim basis. Tatum has worked with Ingram this fall to ensure a smooth transition. Mr. Ray White, who most recently served as TROY’s vice chancellor for human resources before retiring, has assumed the role of vice chancellor of the Montgomery Campus. 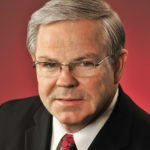 White had previously served as vice chancellor of the Montgomery Campus from 2005 to 2014. 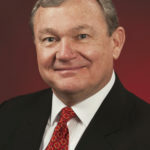 Dr. Ingram joined TROY in 1987, teaching for three years the Sorrell College of Business. He was then appointed to serve as the regional director for the European Region. Returning to Troy in 1995, he served in the Sorrell College of Business as department chair, assistant dean and dean. From 2006 to 2011, he served as the vice chancellor of TROY Global Campus. 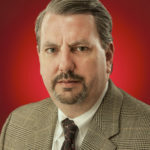 In this position, he was the senior administrator responsible for the University’s educational programs outside the state of Alabama, at teaching locations throughout the world and to online learners through eTROY. In September 2010, he was appointed interim Senior Vice Chancellor for Academic Affairs, and in May 2011, that appointment was made permanent. Dr. Tatum, a TROY alumnus with bachelor’s and master’s degrees in education and a Ph.D. from Florida State University, joined the TROY faculty in 1998 as an assistant professor of sport management before becoming chair of the Department of Kinesiology and Health Promotion in 2000. In 2006, Dr. Tatum was named dean of the University’s College of Education. 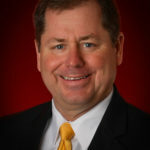 He became vice chancellor for TROY’s Global Campus, and was named a vice chancellor for the University’s Montgomery Campus in 2013. White served for more than nine years as vice chancellor for the Montgomery Campus before being named as vice chancellor for human resources. Prior to joining TROY, White served as commandant of the United State Air Force’s Senior Non-Commissioned Officer Academy. White holds a master’s degree in adult education and a bachelor’s degree in human resources management/personnel administration from Troy University.